Today, Alexis Mouthon works at the awarded Buzz Brothers als Head of Strategy. After attaining a Bachelor’s degree in Sport Business and Marketing, Alexis joined Havas Worldwide Geneva as a Junior Account Executive in …. 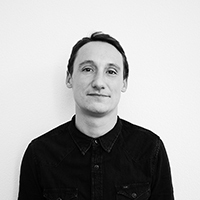 During his first years at the agency, Alexis achieved his Masters degree in Communication & Advertising and went on to become the Strategic Planner for Havas Worldwide Geneva. Alexis responsibilities cover daily business, new business, branding, integrated communications, advertising and digital. His motto: Foster chaos and put madness in the method.